Such a good idea, I'm going to remember this one. wow. such a good idea ! we made a table just like this at our allotment this summer; it turned out great! 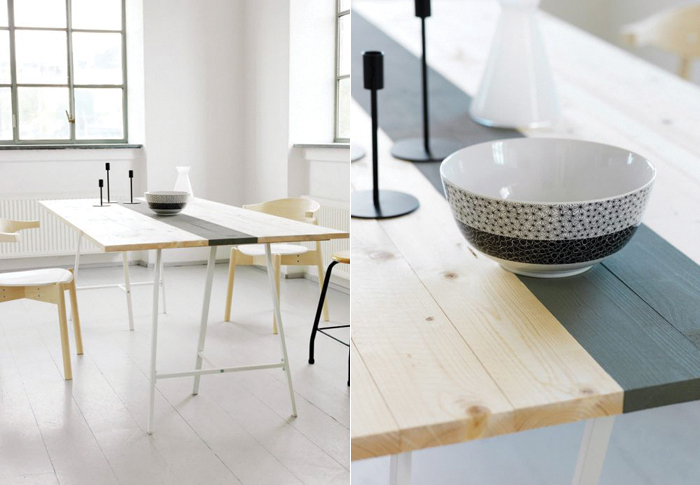 Exactly these table legs from IKEA combined with leftover flooring.. Love it!